There will be little argument that the future of our pipe band tradition here in South Africa lies in the hands of our young musicians. That’s why, whether they’re learning to be pipers or drummers, it’s critical that they receive the very best musical education and pipe band training possible, and that they’re given the opportunity to reach their full potential. Our aim is not only to help them shine here at home but perhaps, one day, internationally too. We’re also acutely aware that the young talent we’re shaping today will be teaching and moulding another generation of pipers and drummers in the future. 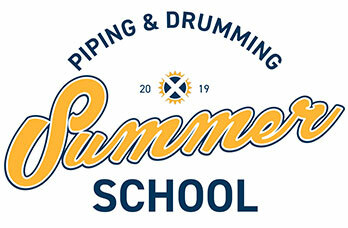 It’s with these thoughts in mind that the PBASA is excited to launch the first ever PBASA Piping and Drumming Summer School. Led by Joshua Hogg (Piping Director) and Anthony Evans (Drumming Director), the intensive three day residential workshop will take place at Parnassus Farm, Magaliesburg. We’re absolutely thrilled to introduce you to our Summer School international piping coach Craig Munro! This will be Craig’s second visit to our shores and it’s going to be totally amazing to get up close and personal with one of the rock stars of piping! Craig is the Master Craftsman and Director of Wallace Bagpipes, Scotland and is also an instructor for The College of Piping and The National Piping Centre, teaching at their workshops all over the world. He’s played in Grade 1 now for a total of 15 years after joining Shotts & Dykehead at the age of 15. He’s since played with Dysart & Dundonald, The Clan Gregor Society and was Pipe Major of Clydebank Pipe Band coming runners up in the Grade 3A Scottish, European, Cowal and World Pipe Band Championships in 2008 who were promoted to Grade 2 after his first year in charge. He then returned to play with the House of Edgar Shotts & Dykehead Pipe Band, which would turn out to be Robert Mathieson’s final year as Pipe Major of the band. Craig says “Standing beside Robert on his farewell performance as Pipe Major will always be one of the highlights of my piping career”. 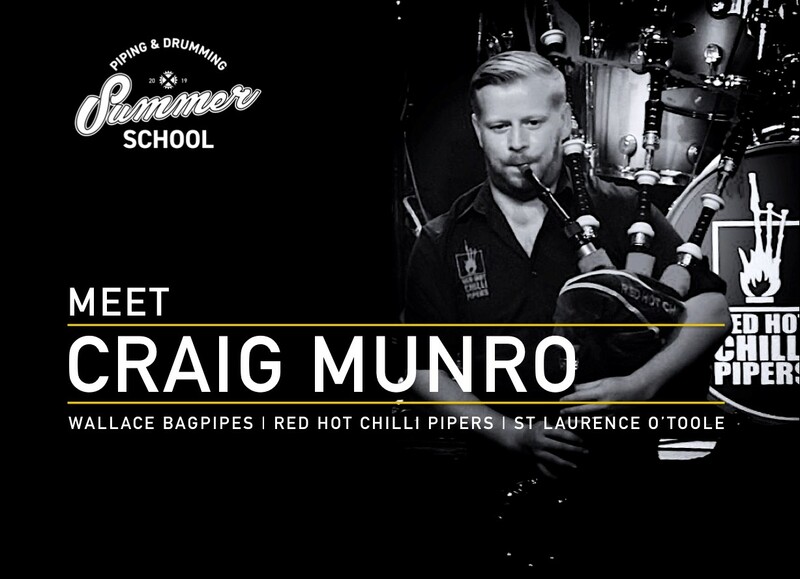 Craig now plays with the 2010 World Pipe Band Champions, St Laurence O’Toole Pipe Band and is also a member of the world famous Red Hot Chilli Pipers. He is in demand all over the world and travels extensively entertaining audiences and leaving them amazed at how much goes into a set of bagpipes behind the scenes with his “Understand & Appreciate Your Bagpipes” lecture that takes you on a journey back to the first African Blackwood seeds being planted in Tanzania, through to the harvesting and manufacturing stage. Some of Craig’s notable performances outside of the competition circuit have been playing on the BBC Hogmanay Live Show, Live on Blue Peter, finale piper on the main stage at T in the Park, playing at the Ryder Cup Gala Concert in the SSE Hydro plus opening the 2014 Ryder Cup at Gleneagles before the teams are presented on stage and recording soundtracks for the Disney Pixar’s movie ‘Brave’ & DreamWorks ‘How to Train Your Dragon 2’. We can’t wait to welcome Craig back to South Africa and to learn from his rich experience and talent! We’re super amped to introduce you to our Summer School international drumming coach, Jake Stafford Jørgensen! We have absolutely no doubt that his great passion and drumming talent are going to be amazing to experience first hand! 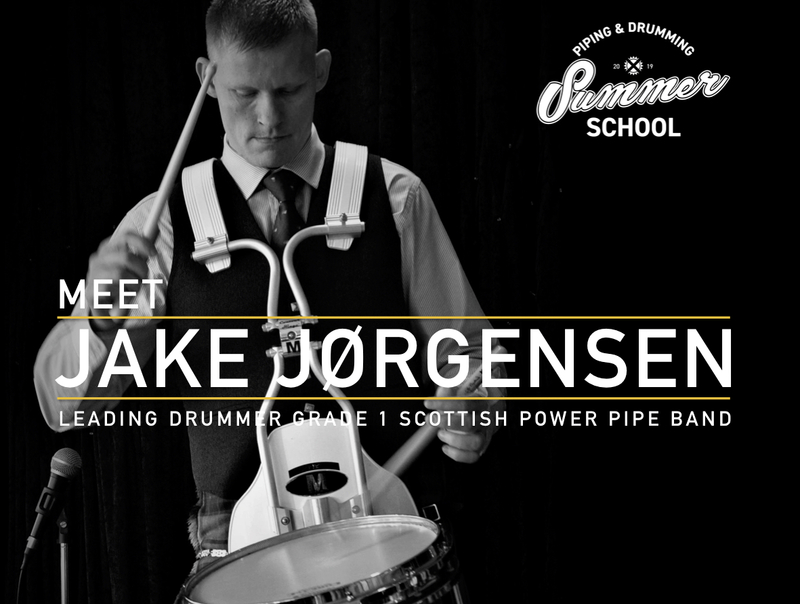 Originally from Denmark, Jake started learning the drums at the age of 11 with the Copenhagen Caledonia Pipe Band and in the early years received instruction from local drummers Per Nørklit, Sven Harboe and Jens Hedegaard. He also took inspiration from visiting tutors, such as Tom Brown, Reid Maxwell, Eric Ward and Barry Wilson. In November 2000, Jake moved to Scotland to join the drum corps of the Shotts & Dykehead Caledonia Pipe Band, then led by Jim Kilpatrick MBE. During his time with Shotts he took part in winning all of the major championships, including the Grade 1 World Pipe Band Championships in 2003 & 2005. During the same time, the Shotts drum corps won all 5 major championship titles several times over, including the World Drum Corps Title in 2002, 2003, 2005 and 2014, and also seven Champion of Champions Drum Corps titles. After 12 combined years with Shotts and 2 years leading the Lothian & Borders Police drum corps, Jake took on the Leading Drummer position with ScottishPower Pipe Band in October 2014. In his first season, he led the drum corps to a second place in drumming at the Scottish Championships and an overall 4th in drumming at the World Pipe Band Championships and the drum corps has featured frequently in the top 3 at Major Championships in 2018. Jake is a regular prize winner at the World Solo Drumming Championships and has placed 3rd on two occasions. Jake works as a full time Drumming Instructor at George Heriot’s School in Edinburgh, where his pupils in both the Novice Juvenile A and Juvenile grade feature regularly in the top prizes, both at the RSPBA Majors and at the World Solo Drumming Championships. Heriot’s were crowned World Drum Corps Champions in the Novice Juvenile Grade in 2014 and the Juvenile corps were World Drum Corps Champions in the Juvenile Grade in 2017. Jake lives with his wife, Nicola, and his son, Oliver, in Kirknewton, Scotland. We can’t wait to welcome him to South Africa! 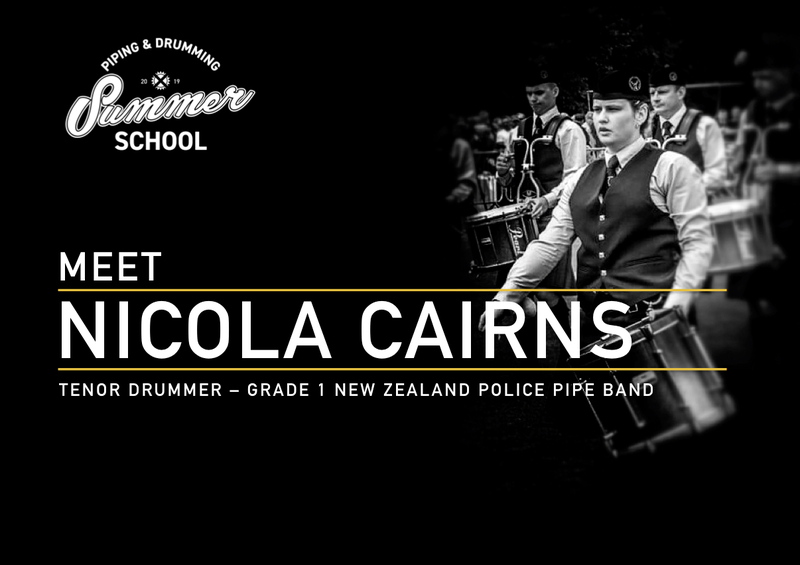 What a buzz it is to be able to introduce you to another of our amazing international coaches; Nicola Cairns of the Grade 1 New Zealand Police Pipe Band! Nicola is originally from Auckland, New Zealand where she started tenor drumming in 2002 under the tutorship of her father, Tony Purvis, at the Auckland and District Pipe Band. Since then she has played with several bands around NZ and most recently has been a member of the NZ Police Pipe Band, who are the current NZ Champions. Over the years she has been part of 4 NZ Champion Bands 8 NZ Champion Drum Corps, and 9 NZ Champion Bass Sections. In 2007 she moved to Scotland where she played for 3 years under Lead Drummer Mick O’Neil in the Clan Gregor Society Pipe Band and later the Fife Constabulary. In 2011 she was invited by Reid Maxwell to play with the Simon Fraser University Pipe Band. In addition to competing with the band over four years, one of her biggest highlights was performing with the band in concert at the Lincoln Centre in New York where they recorded their Live From New York City album. 2016 saw a return to Scotland for Nicola as she took up the opportunity to play with Jim Kilpatrick MBE in the reformed Spirit of Scotland Pipe Band. During the season the band featured in the prize list at several major championships and the drum corps placed 1st at the UK Championship. Nicola will bring enormous value to our mid-section delegates of course, but her vast international experience at the highest level and her great passion for pipe band music will be invaluable for absolutely everyone! We can’t wait to welcome Nicola to summer in SA! The course will naturally also feature lessons and practical input from our local pipe band experts, carefully selected for their experience, knowledge and talent. The course is great value at just R2 150.00 per delegate. This includes accommodation, meals, all tuition and music books. Early Bird Discount – Save R300! Bookings made and paid before 21st December 2018 save R300! The early bird discounted rate is just R1850.00! This is still being finalised but will cover a wide variety of theoretical and practical subjects as well as important elements of band craft. The programme will be designed in line with the internationally accredited PDQB syllabus and will afford delegates intending to write these exams a distinct advantage. Just as important as the hard work and the educational aspect is the fun. We want to make this an unforgettable experience in very way, where everyone involved walks away not just with new knowledge but new friends and a new perspective too. Our planning will include a fun and social element with recitals and other surprises! As a tutor, it is critical that you’re a part of what promises to be an amazing three day learning experience. It’ll help you better understand your young talent, and will surely give you new skills to become even more effective. It’s simply not to be missed. Click here to download : Indemnity and Consent Form . We can’t wait for the 2019 PBASA Summer School and we can’t wait to have you along for the experience!